Diamonds are forever, but jewellery is highly delicate, and prone to wear and tear. We repair all types of jewellery – anything that is damaged or broken can be fixed up in our jewellery workshop by our professional Goldsmiths. Because we have a wealth of experience, we can repair jewellery that others don’t have the expertise for – at a better rate than the competitors. All jewellery repairs and customizations: ring sizing, bracelet repairs, setting missing stones, and more. Free estimate for all pieces brought into our shop for inspection. Fast turnaround – most repairs are returned in less than a week. Jewellery at its finest should always be sparkling and polished, and to ensure your jewellery stays this way it is necessary to invest in the proper care and maintenance.  At GN Designer Jewellers, we offer a comprehensive range of professional jewellery repairs as well as refinishing and refurbishing services. These services can effectively restore a vintage piece to its former glory. If you have a ring that does not fit you anymore we can determine your proper ring size and professionally resize your gold, silver or platinum band to perfection. If a ring was gifted to you and needs to be resized for your finger, the team at GN Designer Jewellers in Melbourne CBD will have you wearing it comfortably in no time. Decreasing a ring size is a somewhat simple process in comparison to making it larger. To make a ring smaller, a jeweller will cut out a small piece of the metal band and then join them back together. To make a ring larger there are two methods generally used – stretching or cutting, and this will depend on how much of an increase is required. If the ring only needs to be slightly larger (up to a half size larger), stretching will suffice in the modification, though it will depend heavily on the material and design. If the ring needs to be enlarged further than a half size, a rework will be required. This is simply cutting the band and soldering in additional metal. For plain bands or simple designs, this is an easy process, though with rings that carry an elaborate design right the way around the ring, it can be more challenging and a remake may be required to preserve the integrity of the original design. The ring will be soldered, cleaned, polished and there should be no evidence of the resizing. If your diamond or gemstone is loose in its setting, you run the risk of losing precious and expensive stones. Our expert maintenance and jewellery repairs team can provide prong re-tipping services to secure the hold. This process is simply strengthening the claws on your jewellery to secure the stones and can improve the overall appearance of the item. Rings can require re-tipping due to the occurrence of accidental knocks, or bumps rings can take. The claws are there to secure the diamond or gemstone, and regular inspections to maintain your jewellery can ensure a secure hold on that precious gem. The cost of this service will depend on how many claws need rebuilding, it will, of course, be far less than the cost of replacing a lost diamond, and incomparable to the loss of a priceless heirloom. A common problem in jewellery repairs comes from a missing stone. Our jewellers can replace the stones in any setting – solitaires and three-stone rings, tensions, channel, or bezel settings. We can set any loose gemstones in your chosen mounting. You can recycle elements of old jewellery to create a new custom design. We can repair the jewellery or take broken fragments from several pieces to form something new. GN Designer Jewellers will clean, polish and restore your jewellery and give you tips about proper cleaning and maintenance as well as specific products for jewellery. While diamonds last forever, jewellery can be very delicate and prone to wear and tear. We can repair all types of jewellery in our workshop, and at a very competitive rate. A free estimate can be provided when you bring your jewellery in for us to inspect. Jewellery is more meaningful than the just metal, with the whole equal to more than the sum of its parts. We at GN Designer Jewellers treat every piece of jewellery as a treasured heirloom. GN Designer Jewellers in the Melbourne CBD offer unique jewellery services tailored to every client. You can bring in your jewellery for repairs, and we can discuss your best options to return it to its former glory once again. We specialise in jewellery repairs, antique and vintage jewellery restoration and jewellery redesign, working closely with you to breathe new life into your existing jewellery. We recommend you have your precious jewellery, specifically your rings, checked and cleaned by a qualified jeweller on a semi-regular basis. GN Designer Jewellers can help you organise a comprehensive jewellery insurance policy to provide cover for your jewellery should it be damaged. We recommend QReport over other insurers, as they can provide you with coverage specific to your jewellery that would not typically be covered in a home and contents insurance package. Your cover would of course also cover loss and theft as well as damage. If your jewellery is being repaired, it is completely insured while in our care. With over 20 years of experience in designing, creating, repairing and restoring jewellery in Melbourne’s CBD, GN Designer Jewellers are proud to provide our customers with carefully handcrafted custom jewellery. For more information about jewellery repairs in the Melbourne CBD, you can contact us on (03) 9602 2153, or stop by our store located at 62 Hardware Lane, VIC Melbourne Australia.